How many times would it be useful to be able to wash your hands? We do not always have soap available, but now there is My Soap, the soap made ​​of paper. That’s right, you’ve understood correctly, of paper, always dry and in the right amount. It has been created by the Roncolab, start-up, is based on cellulose and vegetable surfactants, and is instantly soluble in water. The paper disintegrates on contact with water, releasing biodegradable detergents on the hands, without waste. 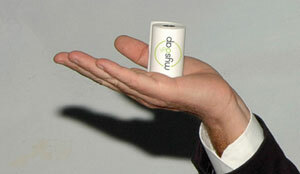 Think about it: a roll of MySoap replaces six 250 millimetres bottles of liquid soap. Each slip of paper can become a fabulous advertising medium, because it can be printed normally with inks used for food packaging.